While many gamers are looking forward to the 21st March release of inFAMOUS: Second Son it seems some have got this eagerly anticipated game earlier, amounting in plenty of leaks surfacing prior to its official release. At least a couple of hundred images have emerged that give us some insight into the visuals that are reminiscent of the popular Uncharted franchise. 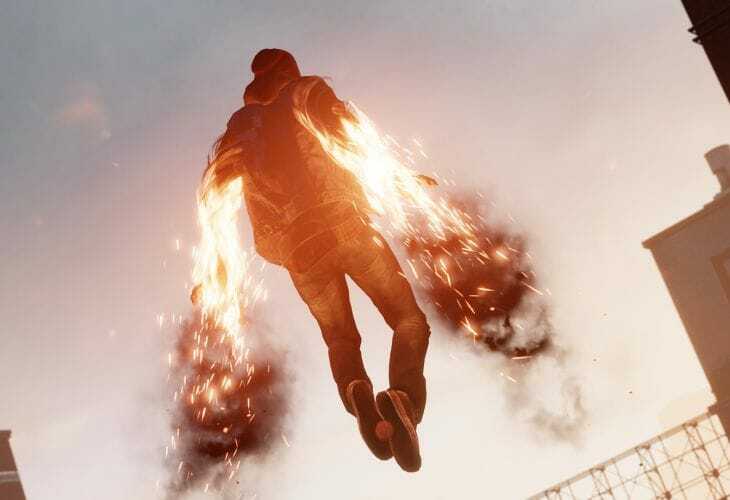 The first 20 minutes of inFamous: Second Son has been leaked with the use of the PS4 share button and Dual Shockers has over 200 shared images that compile an extensive gallery of the upcoming title. This is a case of gamers who have received their copies of Second Son early and the aforementioned site also offered footage of the first twenty minutes of gameplay uploaded by a YouTube user, but it seems Sony has acted quickly and taken this down. We were hoping to see this footage and even though the images still contain mild spoilers we are inclined to warn our readers that this could also reveal some unexpected features, like a graffiti minigame and an Uncharted-like platforming session. The images in question show a certain amount of compression where they were taken from a video, but with this in mind the graphics still look pretty impressive. We can imagine that other videos will start to emerge and in some cases Sony may not be quick enough to act, so there’s more potential spoilers out there, but for the time being we are quite content with the countless amounts of screenshots that have appeared. In a previous post, we highlighted the high anticipation of this game and reported on the inFamous: Second Son pre-order copies exceeding The Last of Us. We discussed how the promotion of this game has been a fruitful exercise as reports by Sony suggest this has been pre-ordered more that Naughty Dog’s, The Last of Us. For those of you not affected by spoilers we suggest you visit the aforementioned site and check out the massive collection of inFAMOUS: Second Son screenshots. Have you been looking forward to the official release of inFAMOUS: Second Son on the PlayStation 4?